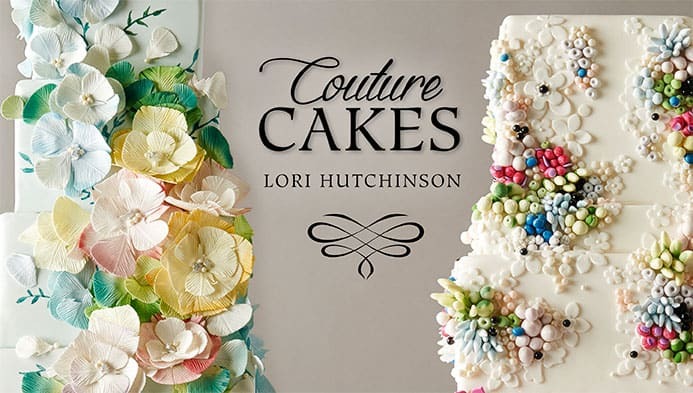 Right now you can get the Couture Cakes by Lori Hutchinson Craftsy Class for only $9.99 (75% off)!! I’m excited and devastated by this deal. Devastated because not all that long ago I bought the class and it was not $9.99 when I bought it. But I’m thrilled that you have an opportunity to snag it at this fantastic price …. the class is normally $39.99!! 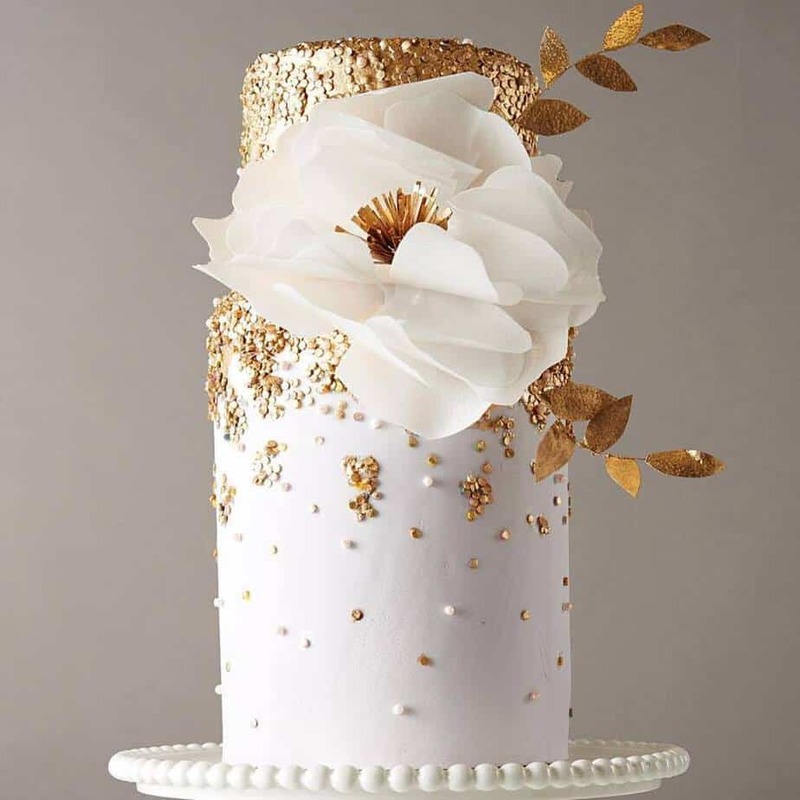 I mean honestly… look at this gorgeous Wafer Paper & Gold Sequins cake that you’ll learn how to make in the class!! Simply stunning! Okay, so let me go ahead and say this one last thing. I’m not 100% sure the price will come up the same for everyone. I love Craftsy will all of my heart – and I love a great deal just as much – so I always want to share great sales with you when I can (especially from my beloved Craftsy! ), but when I see sale prices on Facebook or other blogs and I share them (and they’re not directly from Craftsy) … sometimes the prices don’t show the same for everybody. This might be one of those times … and sadly there’s not a thing in the world I can do to make it work for you if it doesn’t work when you click on the link! But I’m crossing my fingers and hoping for the best for everybody… so hop on over to Craftsy and hopefully you can get this beautiful Couture Cakes class for only $9.99!! 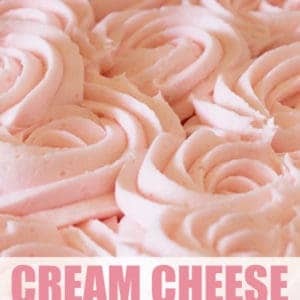 I have no idea how long this price will last, so don’t delay! Oh… and have a happy, happy weekend!